The Epsom is a new product and offers a double bottom bunk with single above. 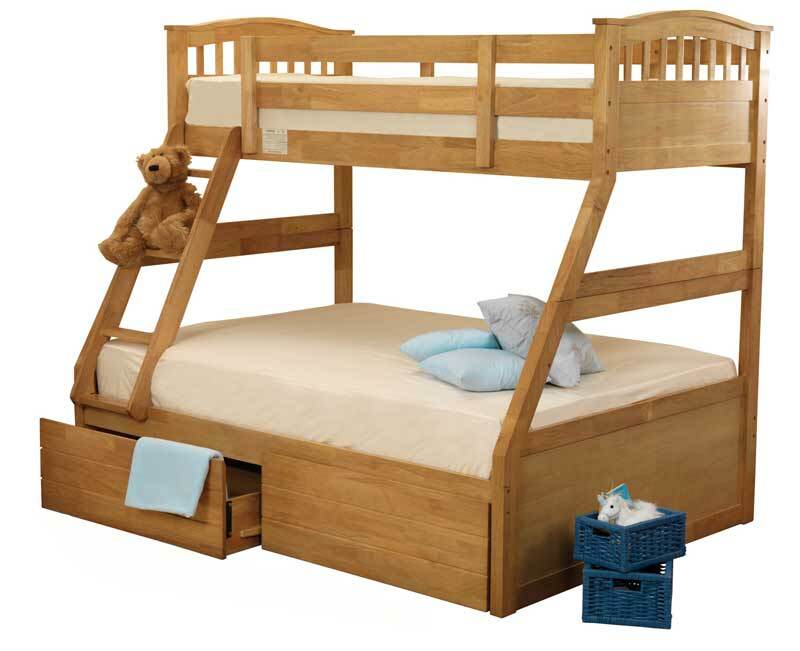 This great value bed offers a practical answer for a kids stay-over with a good strong ladder and super strong construction. Now available in white as well as oak colour. 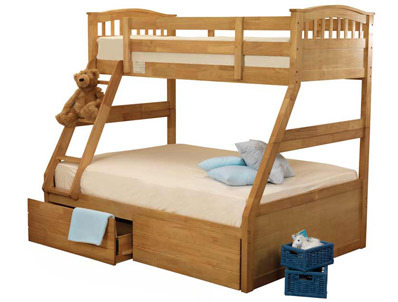 Made from rubber wood it comes with solid wood slats and is flat packed for home self assembly. Mattresses are extra and so are under-bed drawers if required.